Going to give Sharebee a shot today. Seems to make sense as it allows people to download from several different file sharing services. Let me know if it works out for ya. Originally holding an affiliation with Organized Konfusion, it took a while for Mr Complex to shine on his own. From ’94 onwards he released a series of 12s as well as featuring on other artists’ work, and these releases bring these various works together. ‘The Complex Catalog’ was recorded live on college radio in 2000 with the turntable skills of DJ CrossPhada; ‘Comps and Collabos of Comp’ does exactly what it says on the tin. Both albums represent a strong selection of cuts that prove that you can build a reputable career in hip hop without a major label release to kick things off. Complex’s lyrical style is similar to that of the mighty Pharoah Monch although it is not as accomplished, lacking the in-depth imagery and rapid multi-syllabic delivery of OK’s foremost wordsmith. Still, he has a nice flow that varies in tone and is rhythmically interesting, falling on and off beat with control and finesse. He is at his best when backed by a nice funky loop and mid-tempo drums as in the ‘C.O.R.E. Mix’, ‘Why Don’t Ya’ or the ‘What Would You Do Remix’. 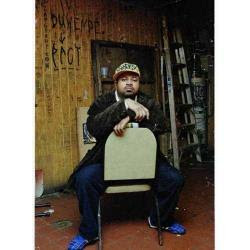 DJ Spinna contibutes a number of beats as well as Pharoah and Prince Po, and generally speaking the production is of a solid but not outstanding quality. Both albums have their gems (‘The Complex Catalog’ is the stronger of the two with a higher level of consistency than ‘Comps and Collabos…’), but these are not releases that I can listen to from start to finish without the temptation to skip a couple of tracks. He has since released a couple of LPs which I have yet to get a hold of. Although I enjoy his work, it doesn’t grab me in the way that I feel it should do given the pedigree of his affiliates. However, these are worthy albums that document the work of an MC who has obviously waited for the right time to make his move into the limelight. This represents a breath of fresh air in an industry flooded with artists who have jumped on the latest rap fad in the hope of making a quick buck. Respect where it’s due: cop these and enjoy.